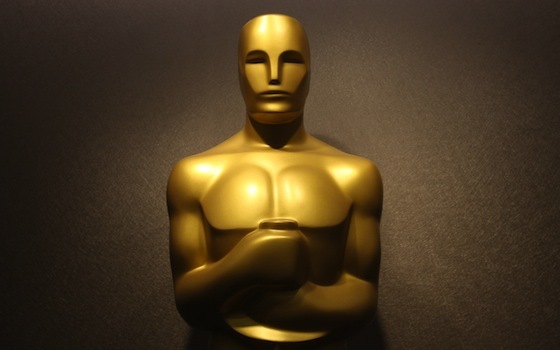 The following films have managed to receive not only critical praise but acclaim with audiences as well, and more than qualified for a nomination for Best Picture at this year’s Oscars. The original “Blade Runner,” made back in 1982, turned out to be one of the most highly regarded, influential movies of its genre, and when the announcement for this sequel was made, a lot of fans braced themselves for calamity. Happily they turned out to be wrong, and “Blade Runner 2049” has turned out to be an example of science fiction and weird tech at its finest. “Blade Runner 2049” is a quiet, insightful, thought-provoking piece of cinema, which stays respectful of its source material while expanding on the ideas the first movie brought up, and masterfully progressing the story begun back then. It is also possibly one of the most beautiful movies of 2017, thanks to Roger Deakins’ cinematography. Denis Villeneuve – who was also the director for “Sicario,” “Prisoners” and “Arrival” – makes another case for himself as a modern auteur, and Ryan Gosling’s performance as K, the replicant hunter, is evidence of his seemingly unlimited potential. “Blade Runner 2049” is an example of the very best mainstream filmmaking. “Good Time” takes place in New York City and has a simple plot: After his mentally-handicapped brother gets arrested following a bank robbery gone wrong, Connie Nikas, played by Robert Pattinson, makes it his mission to scrounge together the money he needs to bail his brother out. Unfortunately for him, but luckily for us, it is not as easy for Nikas as just concentrating on some of the sports betting NZ has to offer, and what comes about as a result of his attempts to get the cash he needs is innovative, original and frenetic. The movie is an instant cult classic, and, although perhaps not the most original plot, the hectic pace and incredible editing combines with interesting twists in the story to deliver a dangerous, grimy, surrealist atmosphere throughout. “Detroit” is a merciless account of 1960s racial injustice in the United States of America, which will leave you with a sense of disappointment and disgust at the explicit portrayal of a truly monstrous period in American history. The film, centered on the riots that took place in Detroit in 1967, makes for a challenging watch that is going to make you uncomfortable. Kathryn Bigelow, of “Zero Dark Thirty” and “Hurt Locker” fame, is the director and the movie’s tone could very easily be compared to that of a thriller, or even a horror. The sheer terror portrayed in the fraught 143-minute runtime is almost tangible, and standout performances by Algee Smith, John Boyega, and Will Poulter bring the reality and tension to life. Whether these films get the attention they deserve or not, they are more than worth your time, and I recommend that you make a point of watching these three highlights from last year as soon as you are able to.